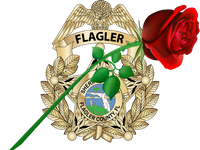 Flagler Sheriff's Employee Assistance Trust – "An Honor to Serve, A Duty to Protect"
Thank you for a great 2019 Sheriff’s Gala. Please check back for information on purchasing tickets for the 2020 Sheriff’s Gala at Hammock Beach on January 18, 2020! FSEAT (Flagler Sheriff’s Employee Assistance Trust) is the vision of Sheriff Rick Staly and was founded in 2017 to aid the Flagler County Sheriff’s Office personnel in time of critical need. The foundations goal is to provide assistance to employees during a personal crisis, give support to the families of slain Flagler County Sheriff;s Office Deputies, and to recognize officers killed in the line of duty. Click here to find out more information about FSEAT.